Onsite Risk Analysis : When appropriate, we do an onsite visit of your operation to identify your specific areas of risk of loss. Development of Safety and Risk Management Programs : Having an established and personalized program is often the next step in our process. If you already have a program in place, we can review it to determine any changes or updates that should be made. Once we have completed a risk management review, audited policy and procedures, and developed a strategy to identify and control your companies’ exposure, our risk management team is much better positioned to qualify your company for deeper savings and credits on your insurance. Development of Training Programs : We will train your staff trainer so they can keep your current and new hire employees up to date on your Safety program. We will help to find training content specific to your business operations. Begin instilling the safety culture you envision for your operation! We believe in partnering with our clients to help them achieve their goals. One of the ways that Watkins Insurance Group partners with our clients is by utilizing the expertise of our internal risk management team. Although all our Agents are highly trained to assist you with your workplace safety goals, Joe Guyton takes it a step further. He is both a Certified Insurance Counselor and Certified Risk Manager through the National Alliance for Insurance Education. 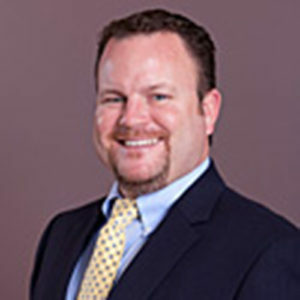 An alumnus of the University of Phoenix, Joe holds a Bachelor’s degree in Business Management. Joe takes a diagnostic approach to the behaviors, practices, and exposures that drive the cost of a client’s risk.